Sometimes it’s hard to tell whether an anime premise was lovingly crafted by humans or assembled by a robot with a list of popular Google search terms. Uma Musume Pretty Derby, one of the most popular anime of the new season, might break the anime Turing test. Uma Musume Pretty Derby, which is real despite premiering on April Fools’ Day, is an anime and upcoming mobile game about high school girls who are also horses and race each other and sing and dance like pop idols. Don’t feel bad if you need to read that synopsis a few times; it’s a lot to process. It follows the horse girl Special Week’s journey to become the best horse girl in Japan. (In this world, horse girls look like regular girls but have horse ears and horse tails.) After her horse races, Special Week appears on stage to sing and dance for attendees. Watching it, I cringed so hard into myself that I am now a black hole. 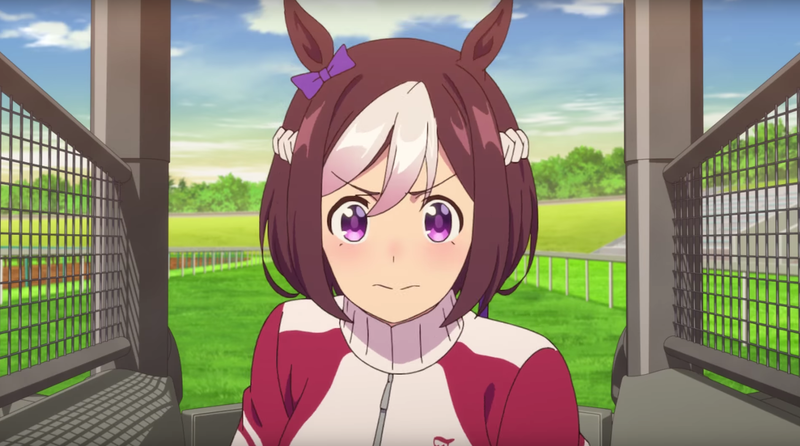 A few questions I had while watching Uma Musume Pretty Derby’s first three episodes: Are horse girls’ career prospects limited to racing? If they’re bad at it can they just go into, like, finance? A lot of the horse girls’ trainers are humans, so outside the high school, are humans still in charge of horse girls? Somewhere, are there horse girls leading a rebellion? Why didn’t the anime premise stop at “girls who are in high school and also horses”? Is it because that anime already exists? Why are there no horse boys? In what ways does the skillset for pop idols intersect with the skillset for being a good horse girl? What does it mean to be the “best” horse girl? I can’t recommend Uma Musume Pretty Derby, but I do admire its ability to smash together, like, three different anime premises into one totally out-there show.